It’s the first time we’ll see the teams’ 2019 rosters. Overwatch League founding team Seoul Dynasty will host an international showmatch with expansion team Guangzhou Charge later this month. The friendly, invitational match will be held Dec. 29 in Incheon, South Korea, Seoul Dynasty owner Gen.G announced today. Seoul Dynasty will also host a “private fan meeting,” where fans will be able to interact with the roster and tour the showmatch stage. The match will start at 3pm KST at the Paradise City Hotel and Resort in Incheon, South Korea. Korean hip hop group Epik High will perform before the match. Tickets will go on sale at Dec. 11 at 4pm KST. There are two special ticketing classes that give fans access to the fan events: Dynasty and Grand Master. New “exclusive” merchandise will be available on-site from licensing company Neu, according to the press release. The Seoul Dynasty vs. Guangzhou Charge matchup is the first look at both Overwatch League teams ahead of the 2019 season. 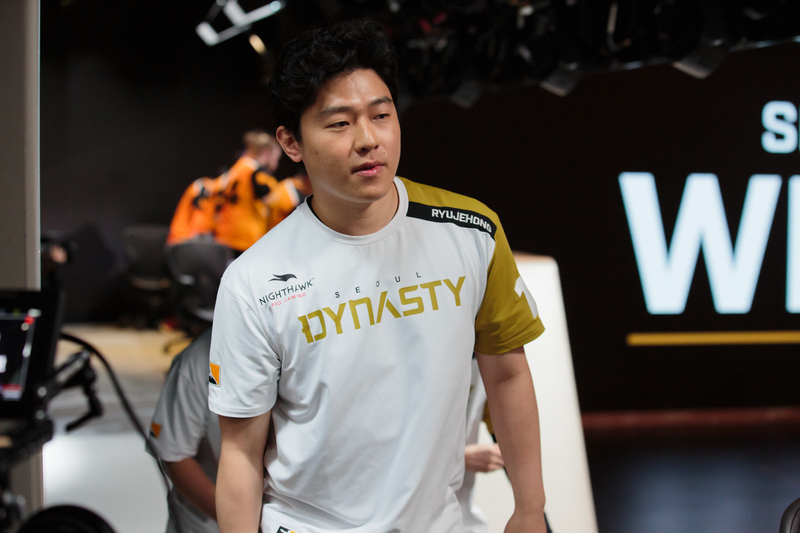 Seoul Dynasty underwent an extensive restructuring in the off-season, adding four new players: Baek “Fissure” Chan-hyung as tank, Choi “Michelle” Min-hyuk as a flex player, Hwang “Marve1” Min-seo as tank, Lee “Jecse” Seung-soo as support, and Kim “FITS” Dong-eon as DPS. A core roster of five players remains from the Overwatch League’s first season, with Kim “Zunba” Joon-hyeok, Ryu “ryujehong” Je-hong, Yang “tobi” Jin-mo, Kim “Fleta” Byung-sun, and Byun “Munchkin” Sang-beom. For Guangzhou Charge, it’s the team’s first Overwatch League match yet. There are a lot of questions surrounding the international roster, which mixes Chinese, South Korean, American, and British players. Communication was a problem in the Overwatch League’s first season for Shanghai Dragons, the only team that lost all of its matches in 2018. The December showmatch will likely answer those questions regarding the team’s synergy. Gen.G has not said whether the event will be livestreamed on Twitch. Dot Esports has reached out for more information.